John R. Mawhinney Ed. D., CPIM, CTL is Assistant Professor and Director of Supply Chain Management programs in the Palumbo-Donahue School of Business, Duquesne University. He possesses 26 years of industry experience in the supply chain and over 20 years of part-time and full-time academic experience. He earned a BS in Logistics and Marketing at Ohio State University, an MBA from the University of Pittsburgh, and an EdD in Supply Chain Education from Duquesne University. His research interests include supply chain management education, value chain management, business collaboration and trust, and sustainability in the supply chain. 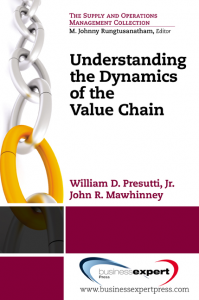 He has coauthored several peer-reviewed publications including “Human Collaboration: A Key Component to Supply Chain Performance” (with Professor Ken Saban), which appeared in the Journal of Applied Marketing Theory in 2010.